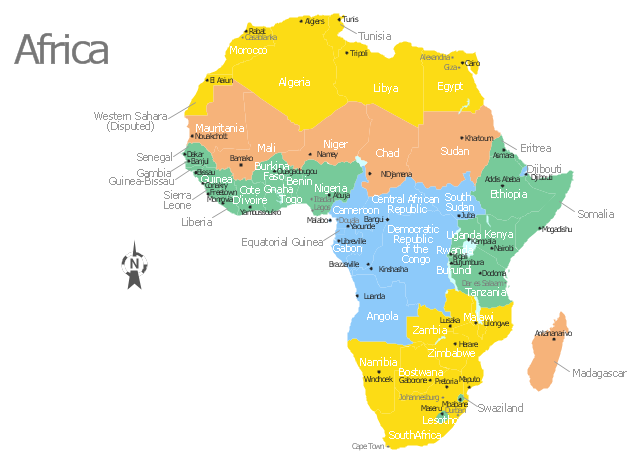 Use this Africa map template to design your political or thematic map. The vector stencils library "Marketing maps" contains 44 state map contours with capitals and major cities: the Group of Twenty (G20) state maps, EU state maps and World map. 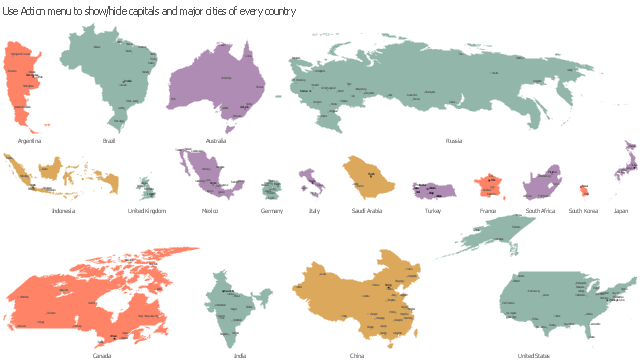 Use it to visualize geospatial information in your marketing infograms.